The government on Tuesday clarified that US-based electric car major Tesla will not have to source components locally if it plans to set up a manufacturing unit in India. The government responded to apprehensions expressed by Tesla founder Elon Musk that the company would have to source a certain percentage of local components to set up plant here. The commerce and industry ministry through its 'Make in India' Twitter handle stated that the foreign direct investment (FDI) policy does not mandate any such minimum sourcing of components by manufacturers. As per the policy, after manufacturing in India, a foreign investor is permitted to sell its products in any manner - wholesale, retail or e-commerce. "FDI policy also permits wholesale of imported goods in India without sourcing conditions," the ministry said. 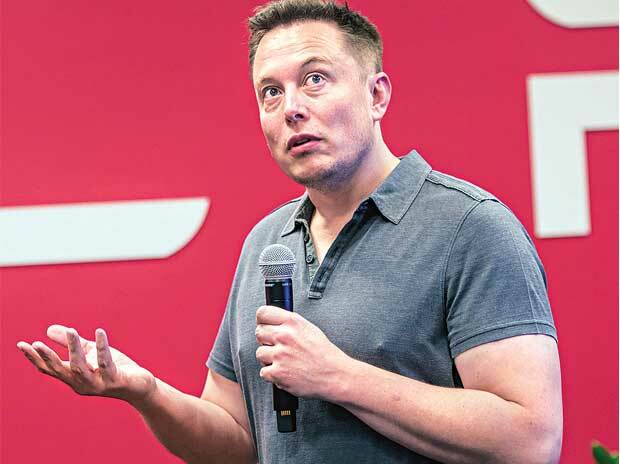 Musk in his tweet has said: "Maybe I'm misinformed, but I was told that 30% of parts must be locally sourced and the supply doesn't yet exist in India to support that". Last year in April, the company had stated that it planned to enter India with its Model 3 in 2017. In a visit to the company's plant last year, Minister of Road, Transport and Highways Nitin Gadkari had offered Tesla land near major Indian ports to facilitate exports to South and South East Asian countries while asking the company to make India its Asia manufacturing hub. In September 2015, Prime Minister Narendra Modi had visited Tesla's facility in San Jose and showed keen interest in some of their path breaking inventions, particularly in the renewable energy sector which can have multiple applications in remote rural areas. If a foreign company wants to open wholly-owned single brand retail stores in India, it has to mandatorily source 30 per cent of the value of goods from India.